The B-PSA UK has ties with many overseas communities of Scouts through the World Federation of Independant Scouts. "International peace can only be built on one foundation, and that is an international desire for peace on the part of the peoples themselves in such strength as to guide their Governments." So wrote Lord Baden-Powell in "The Scouter" December 1911. Our founder believed that overseas friendships with Scouts from different countries and cultures enriched the Scouting experience through the exchange of views, correspondence and visits; whilst at the same time encouraging understanding and ultimately reducing conflict between nations. Baden-Powell was a firm believer in the benefits of international friendships, and The Baden-Powell Scouts' Association also embraces this belief, and has overseas Associations across the world. These Associations follow the same traditional Scouting as UK Scouts, whilst at the same time, adapting it for their own particular circumstances. 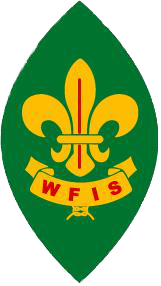 In 1996 international friendships were further strengthened with the founding of the World Federation of Independent Scouts (WFIS). The Baden-Powell Scouts' Association, along with nine German Associations, were founding members of the Federation and the aim was to create a Federation for Scouts who are not members of another world organisation and bring them together in camps, leader training and Jamborees. Now WFIS has members in almost every region of the world, in 64 countries, with over 5 million members. In Europe there is an annual workshop, hosted by different countries, a jamboree every 4 years, Wood Beads training, hike competitions for Scouts and Seniors, a Pathfinder Belt for Rovers and a badge that Cubs and Scouts can earn, by making contact with overseas Groups.